I struggle with coming up for things to do at character birthday parties. 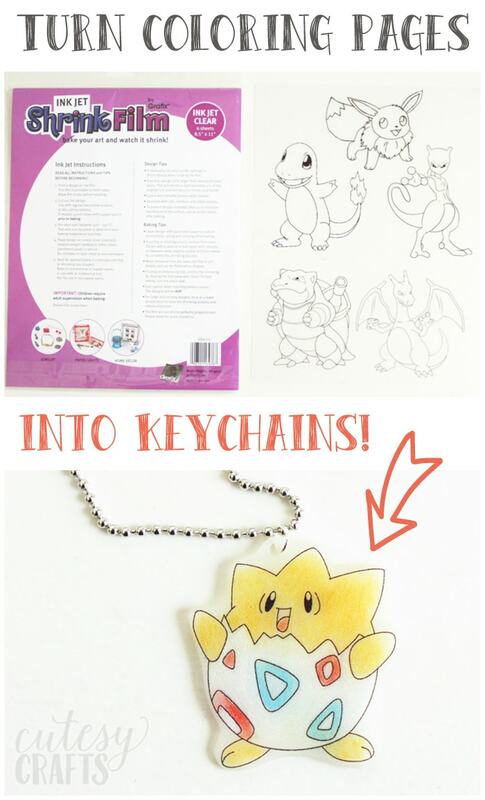 Evan had a Pokemon birthday party last summer, and we made these shrinky dink keychains using printable coloring pages. You could use this birthday party craft for any character party. In fact, we did this for Audrey’s FROZEN party too. 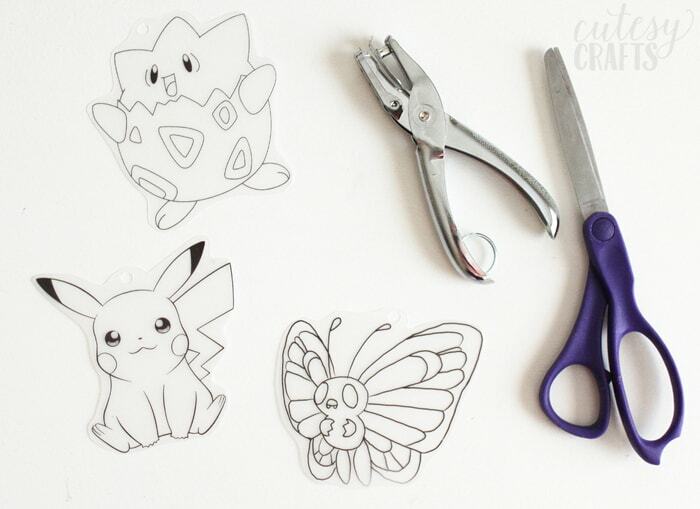 You print the pages directly onto the shrink film, let the kids color them, shrink them, and they’ve got a cute party favor to hang on their backpack! First thing to do is find a bunch of printable coloring pages to use. I found all of these online and then resized them all to fit on one page. Just be careful what sites you visit, you don’t want to download any icky files. 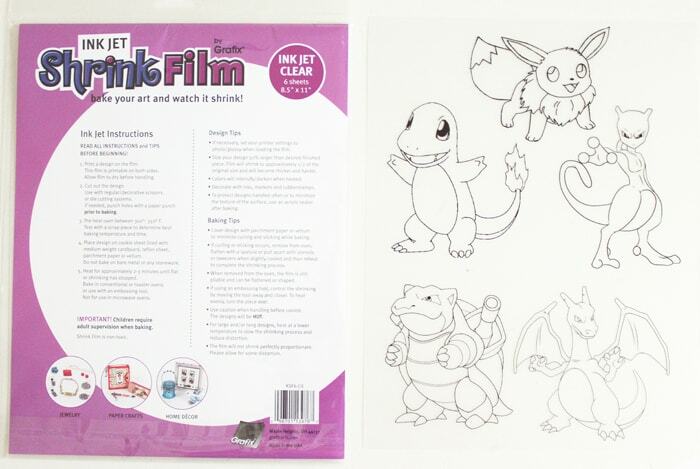 Follow the instructions on your packet to print the coloring pages on your shrink film. Cut out each of the characters, leaving enough room for a hole punch on the top. Punch a hole in the top of each one. I figured out later that if you don’t want to use a jump ring, you can punch one hole and then enlarge it by punching overlapping holes around it. The jump rings can come loose, so skipping it makes for a more sturdy keychain. Keep track of which side is printed on, and sand it. 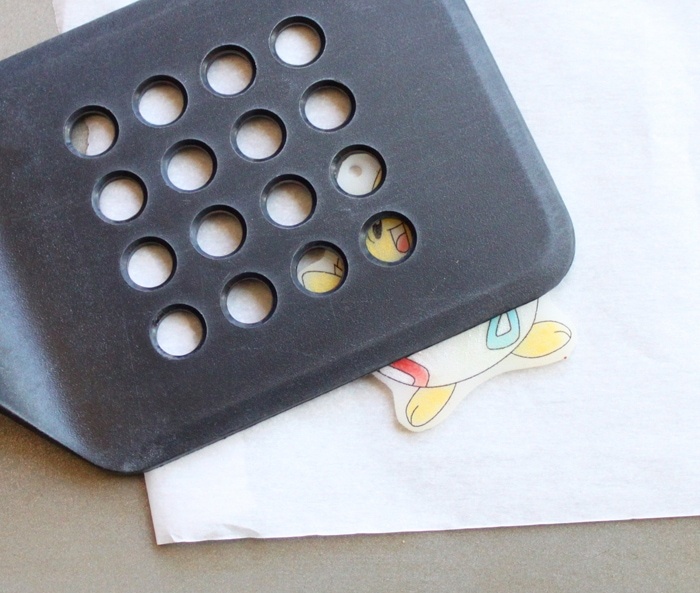 This makes it possible to color with colored pencils on the shrink film. Make sure you don’t sand and color on the wrong side, or the printed lines will show on one side and the coloring on the other. It’s difficult to tell which side is which after it’s printed. We had to look on the laptop during the party to remember which direction they were printed, so maybe find some other way to mark them. This is the point where I gave the kids the characters to color. Have them press a little harder than they normally would while coloring. The colors will get darker when they shrink. Line your baking sheet with some parchment paper and place the shapes on top. Put another piece of parchment paper on top of the shapes. This is my little secret to keep the shapes from curling up and sticking to themselves. Make sure to preheat your oven and bake according to the package instructions. When they are done baking, they might not be laying completely flat anymore. Take a spatula and press it on the shapes until they have cooled a little. 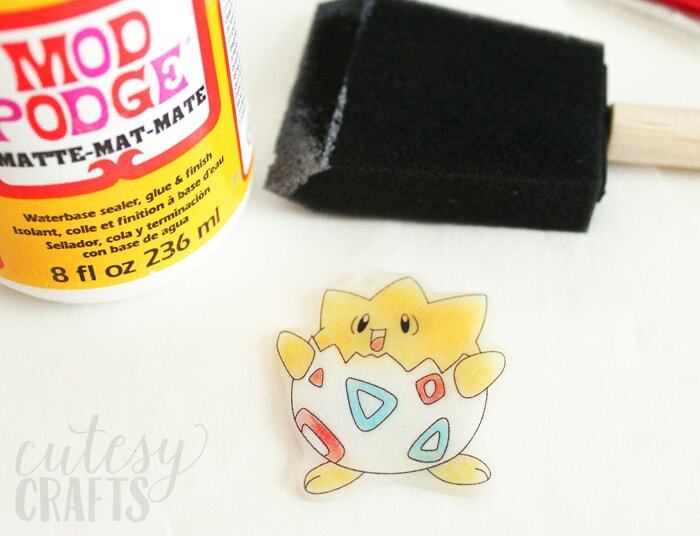 Once the shapes have cooled, brush a coat of Mod Podge on top. 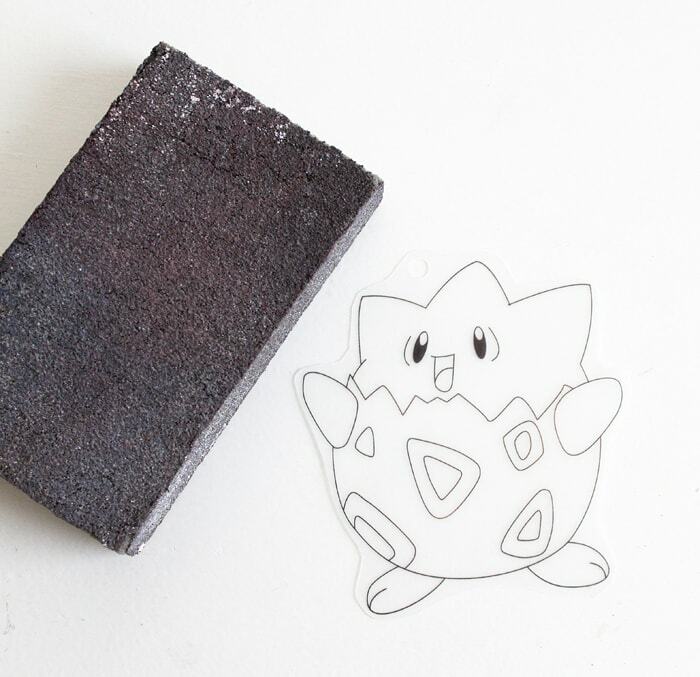 It will dry clear and seal the colored pencil. 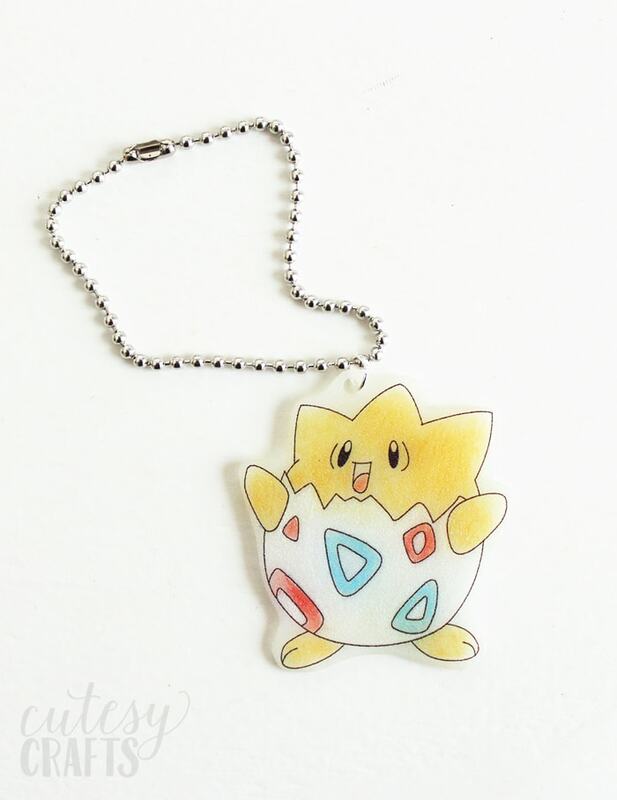 If you decided to use jump ring, add that and the ball chain and connector. If you punched the hole larger, just thread the ball chain through the hole directly. 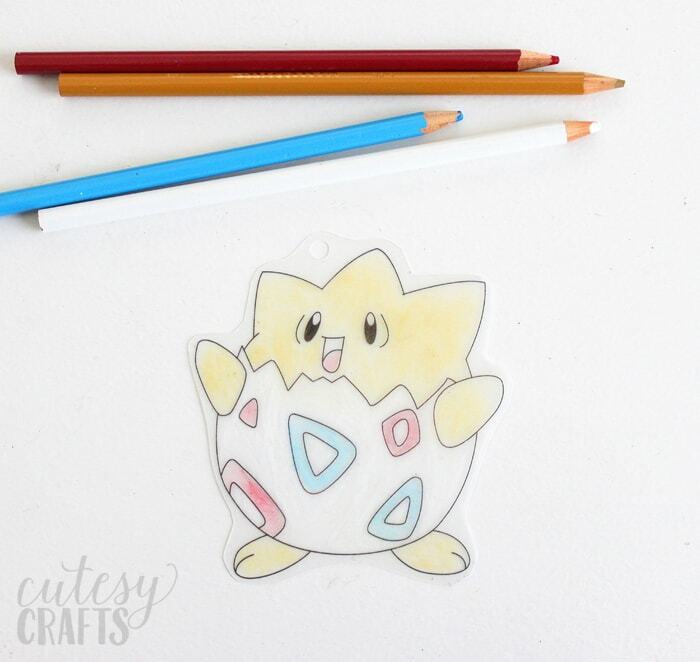 This craft was so fun for the kids at the party! 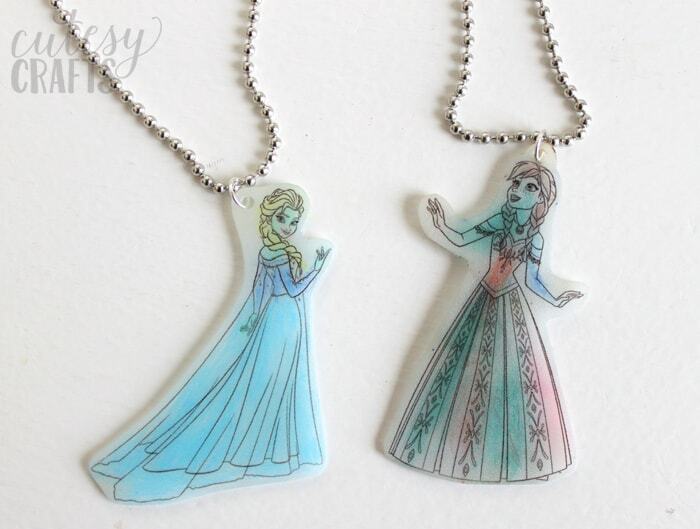 Here’s a quick pic of the FROZEN ones that we made for Audrey’s party. They turned out so cute! What character birthday party crafts have you done? I’d love some more ideas. Let me know in the comments section below.